Fans of the 9mm quickfire author interview series will hopefully be pleased to know that after a bit of a slowdown, bordering on a hiatus, in the first few months of 2012, I've now fully got back into regularly interviewing a wide variety of crime, mystery, and thriller writers from around the world - ranging from big-name bestsellers, to terrific authors who are perhaps lesser-known. 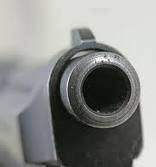 In the coming weeks and months 9mm will be a much more regular feature (again) here on Crime Watch. I'm always open to suggestions of which crime writers you would like to see participating, so if you have any suggestions, please feel free make them in the comments section. 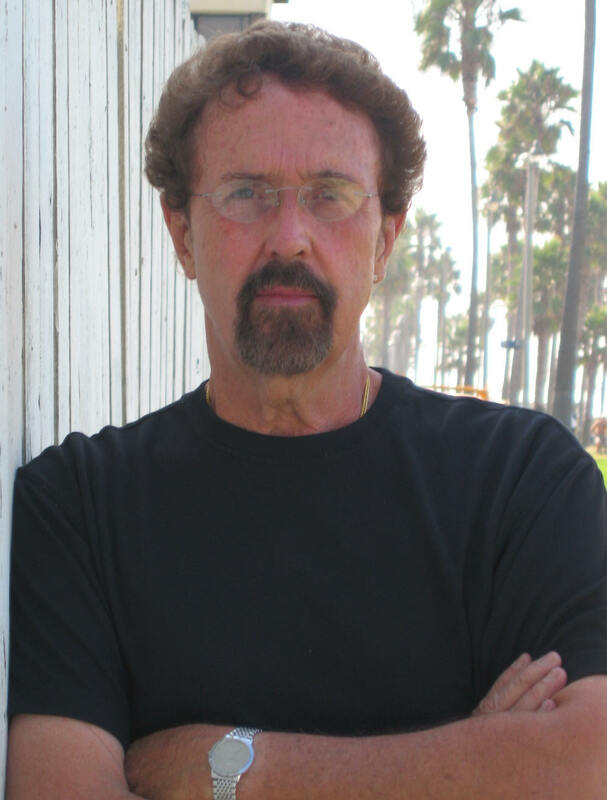 Today, for the 63rd instalment in the growing series, I have the distinct pleasure of welcoming Timothy Hallinan, a US crime writer who reportedly splits his time between California and Southeast Asia. Lately, Hallinan is probably most well-known for his acclaimed Bangkok-set thriller series starring Poke Raffery. The fourth in the series, THE QUEEN OF PATPONG, was nominated for both the Edgar Award and the Macavity Award. Last year, Hallinan edited the special e-book SHAKEN: STORIES FOR JAPAN, gathering twenty mystery writers to each contribute a new original mystery story (for free), to help raise funds for the earthquake and tsunami recovery efforts in Japan. Hallinan also contributed a story to the BANGKOK NOIR collection, and has written several other books outside of the Poke Rafferty series. 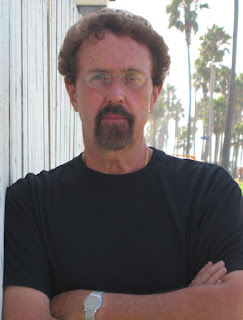 His next novel (released next month) is the fifth Poke Raffery thriller, THE FEAR ARTIST. You can read more about Hallinan at his website here. But for now, this master storyteller faces down the barrel of 9mm. Who is your favourite recurring crime fiction hero/detective, and why? Rex Stout's classic pairing of Nero Wolfe and Archie Goodwin, which is odd because I don't read a lot of cozies and in some corner of my mind there's a chant going up: “Philip Marlowe! Philip Marlowe!” But Wolfe and Archie win because of the interplay between them and because of the imaginative richness of the entire setup: the brownstone, the floor plan, Wolfe's chair—specially designed to support his third of a ton—Fritz, Theodore, the orchid rooms upstairs. And primarily, I suppose, the fact that Wolfe's intelligence seems so real. I always get a little apprehensive when a writer introduces a character who's supposed to be “brilliant” because, well, you know, we can't write a character who's smarter than we are. But Wolfe is as brilliant as he is cranky. There have been dozens of variations on Holmes and Watson, but Wolfe and Archie are the ones that work best for me, and the only ones I like better than Holmes and Watson themselves. There are really two, and both were fantasies of a sort. The first was The Wizard of Oz, when I was maybe eight. I was a mildly unhappy, hypercritical child, and Oz seemed to me in all respects to be superior to the world I'd been dealt. I read, I think, ten of the books in the series before it palled on me. And second—this always gets me into trouble—was Gone With the Wind. It was summer in California and I was eleven and bored, so I pulled down the fattest book on my mother's shelves and just sort of vanished into it. From the first line to the last, I preferred it to my own world (I wasn't particularly aware of the heritage of American slavery at the time) and wanted desperately to be Rhett Butler. This was a first for me. I'd willingly gone elsewhere in the Oz books but had never wanted to be a fictional character before. A major lesson for someone who didn't yet know he'd be a writer. No. I mean, I'd done the usual stuff as a kid. I wrote a love poem to my eighth-grade English teacher, the breathtaking Miss Reid (who dealt with it with a delicacy and compassion I still admire), and two or three perfunctorily awful short stories, but when the bug actually bit, I sat right down to write a novel. I wrote two stinkers and then one that seemed to work. Somewhat to my surprise, it was a private-eye story. I put it in a drawer for a month, read it again and changed everything, and then closed my eyes, crossed my fingers, and submitted it to an agent with whom I had a tenuous connection, and ten days later she got me a three-book deal with New American Library/William Morrow, and I was off to a life of being published to minor success by major houses. Nothing much. Read, travel, listen to music, eat. I'm a couch potato who occasionally trades the couch for an airline seat. I pretty much live to write. It's the happiest I ever am, even when it's going badly, which is quite a bit of the time. It's almost inconceivable to me that writing is pretty much all I have to do and that it pays my bills. I have no idea what I did to earn it. I'm going to answer this about Bangkok, my character Poke Rafferty's home town rather than my own. Poke is a “rough travel” writer whose books are an attempt to get travelers to venture outsiude the usual tourist topiary, which in Bangkok is temples, palaces, open-air markets, restaurants (I think it's currently the best “eating city” in the world) and the mandatory, horrified one-night dip into the red-light world of Patpong or Nana Plaza. What Poke would say, and what I say, is get a cab driver to take you off the main streets until the buildings are 2-4 stories high and the sidewalks are relatively empty. Then get out and walk. Walk for several hours (dress for the heat). People will smile at you. Smile back at them and say hello. Get something to eat in some little restaurant. Return your waiter's or waitress's smile. Bangkok is one of the biggest, highest-energy cities on earth, but at heart it's still a bunch of small villages smooshed together by urban sprawl. Find yourself a Bangkok village in the middle of the city and spend a few unhurried hours there. You won't believe how sweet the people are. No one I'd want would take the part. What's to do? I look at a computer for hours and laugh out loud occasionally. I know whom I'd like to play Poke, though: Johnny Depp. And for Junior Bender, my Los Angeles burglar who works as a private eye for crooks, Robert Downey, Jr. But for me? I don't know. Someone who doesn't look stupid when his mouth is open. The last one, always the last one. 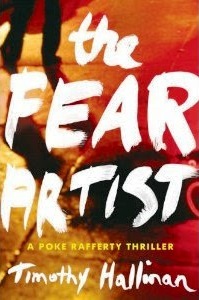 At the moment, that's Poke Rafferty Thriller #5, The Fear Artist, which comes out on July 17 of this year. I like it because it almost killed me to write it and for months I thought it was junk and it turns out it wasn't. I like it because it's about something I care about: the imprecision and sloppiness of the War on Terror and its appalling effect on America as she devotes her energies to it. I like it because it's got a whole bunch of stories in it, and almost all of them work, at least to some extent. And I like it because, without my knowing it while I was writing it, one of the most important threads in the book is the difficult and potentially magical relationship between fathers and daughters. It always knocks me out when I see a strong theme emerge in a book and it's something I had no idea I was writing. It suggests to me that my imagination was fully engaged all along, no matter how little fun it was at times. Also, the book just got starred reviews from both Publisher's Weekly and Booklist, so that disposes me kindly toward it. The first book I ever saw in a bookstore was the first of my books to be published, the initial Simeon Grist Mystery, The Four Last Things, and it was in big bookstore, possibly a Barnes & Noble. I saw it and stopped cold, my heart absolutely pounding in my ears. Then my sense of entitlement kicked in and I saw why having a last name that falls in the middle of the alphabet is such a bad idea: the book was on the bottom shelf, where the only person who would spot it was someone who had just dropped a quarter. It took me fifteen minutes to rearrange the shelves, preserving the alphabetical arrangement, until I was on top, and when I went back several days later it was still on top, which was good and bad: good because they hadn't moved it back and bad because it hadn't sold. And it never did. At the last Bouchercon, I got confronted repeatedly by readers who were upset at the endings of my Poke Rafferty books. Not all stories end well in that series, although the main plot line is always resolved satisfactorily, at least from Poke's perspective. But in the first book, A Nail Through the Heart, a character whom I had thought would be a one-book cast member comes to an equivocal end, and in another book a minor continuing character dies. I knew people were upset about the character in Nail because I got about 600 emails complaining about it—to the point where I brought the character back in the third book just to wave him around and show everyone he was doing fine. But after the character died I found myself confronted over and over again by readers who say they're afraid to buy the series online because the first thing they do when they see a new one is go to the end and make sure nothing bad happens to Rose and Miaow, Rafferty's wife and the former street child who's now their adopted daughter. It was flattering to see how deeply people care about these characters, but I have to say that I was taken aback by the vehemence of their reactions. I'm expecting more of the same this October when I go back to Bouchercon, because in The Fear Artist, not one but two relatively sympathetic characters do not get the usual happy ending. Thank you for taking the time to chat to Crime Watch Timothy Hallinan. We really appreciate it! Have you read any of the Poke Rafferty books? What do you think of the Bangkok setting? Do you enjoy crime fiction set in Asia? Have you ever visited Bangkok yourself (what do you think of Tim's recommendations)? Comments appreciated. Craig - Thanks as always for a fascinating interview. It's a real tribute to Timothy that readers are so absorbed and engaged in his novels that they feel as strongly as they do about the characters. Never been to Bangkok but I've always heard it's a really interesting place. I have read all of Tim's books, all the Simeons, all the Pokes. and SHAKEN. The Simeon Grist series tilts toward the humorous. In fact, they are not books to read in public in case people in the vicinity think that the reader has only a slight hold on sanity. The Poke Rafferty series is a serious look at problems that are the result of the weaknesses of human nature. They have a different spin because the locale is exotic, a flavor unique to Bangkok and Thailand. That is not to say that there aren't any laugh-out-loud moments in Poke's stories; there are just more of them in Poke's. It took awhile before I read the books set in Bangkok. I wasn't thinking of the violence as much as I was concerned about Bangkok's reputation as a destination for men who were looking to participate in the sexual trafficking of children. I had read the Simeon books as they were published so I should have trusted my experience with those books but I was pulled into the Bangkok stories when I began reading his posts on the blog MURDER IS EVERYWHERE (murderiseverywhere.blogspot.com). Seven authors contribute a post each week and all posts and all authors should not be missed. In a review of on of Tim's books, I wrote that Tim writes prose like poetry. At the core of the stories is Poke, Rose, and Miaow. Poke's life is his family and everything he does is to make life better for this family he has crafted. I have not visited Asia. Tim makes Bangkok inviting and not frightening. I will read anything Tim writes no matter what the setting. There isn't an author who is better. Reviews of all Tim's books can be found on my blog, MURDER BY TYPE (murderbytype,wordpress.com). Two amazing things about Tim are his ability to write brilliantly in several series that are strikingly different and his mentoring of so many authors and would-be authors. Although they will never be as a dept as Tim in the craft, they are much better at it because of his generosity with his time and knowledge. Tim is not only a great writer but a great human being. I've enjoyed his friendship the past few years. I agree with Beth that he writes prose like poetry. His thoughts are exquisitely expressed. I never liked present tense stories until I started reading the Poke Rafferty series. I was well into A Nail Through the Heart before I realized it was written in present tense. They all read so smoothly.